Torchlight flickered about, sending shadows rippling around the wooden walls like black ocean waves. The chilly air of night blew in from holes from rotting wood, as well as the broken windows and the door-less entryway, snuffing out any heat that could have lived within the small abandoned cabin. But there was nothing alive within the cold confines of this forsaken home. However, the room looked very much alive. In the center of it sat an enormous wooden table full of fresh fruits and vegetables framing a turkey the size of a cow, cooked to golden perfection. There were rolls and crescents, glistening with melting butter, followed by cakes and pies accenting the far end of the table — enough food to feed multiple large families. Only one person sat at this table, holding a cone-shaped torch high above his head, which happened to be carrying a crown-wreath of holly and ivy. He was enormous — a giant compared to any mortal man. His rosy cheeks were raised up joyfully, causing his big lips to smile as his glistening eyes observed the feast before him. He let out a deep, loud laugh that violently rattled the foundations of the deteriorating home. “Could you keep it down, Present?” It was a hushed voice, like a whisper on the wind. The quiet question came from the other side of the table. Its owner flickered his own light, his face encompassed in a flame that caused his wax body to sweat. Somehow, he never got smaller, and his drips never pooled below him. They were ghosts, of course. Ghosts who were stuck in the mortal world to find men and women who had lost their way through life and guide them to become better human beings. The Ghost of Christmas Present ripped off the thick, golden turkey leg and took a gluttonous bite, leaving an oily film on his red beard. Through a mouthful of the meat, he said, “Can’t we enjoy our Christmas Eve before we go and do our haunting?” Swallowing down the enormous bite, he sat the leg down on the white plate before him and reached for a red napkin. After wiping his fingers, he dabbed at his mouth, missing the residue on his beard. The Ghost of Christmas Present took a long draught from his wine-filled silver goblet that shimmered from his torchlight. “With the likes of him?” the Ghost of Christmas Past said with a hushed snort, pointing himself towards the corner of the room. There, standing alone in the dark, dark corner was a figure draped in black robes. A boney, lifeless hand stuck out of one of the sleeves, pointing at Past. It slowly raised up to where the figure’s neck should be then rapidly moved horizontally with a cutting motion. The black hood slowly swayed back and forth in disagreement. “I know just the one to visit,” said Past, shrugging off the unseen glare he knew he was getting from the Ghost of Christmas Future. “Who?” Present said, munching on a roll. Picking up the turkey leg from his plate, Present pointed it at Past. “Seems to me she doesn’t need ghosts to help her — she needs a new man!” His booming laughter shook the cabin once more. Past’s flame flickered with annoyance. Slapping his hand down on his knee, he gave another hearty laugh. Future just shook his black, hooded head back and forth slowly. “The widow…” Past said again. Standing up, Present snapped his fingers and the table folded in half, slamming loudly but keeping all of the food within. It shrunk down until it was as small and thin as a napkin. It floated up to his outstretched hand and he slid it into the pocket of his fur-lined green robe. “What’s the widow’s name, Past?” Present asked, finding a piece of bread in his beard and slipping it into his mouth. “We’ll guide her back to pleasantness again, right Future?” said Past, looking back with his flaming head. Future shrugged his shoulders lazily, hovering behind them. “Of course we will,” Past said, answering his own question as he turned back around. Silence filled the cold, quiet cabin. Past suddenly spun around, going faster and faster, ending with one last flicker. And then he was gone. “Light ‘em up, Past,” Present mumbled with a smile. Past’s light filled the dark room right as the clock struck nine. He glanced around, hearing heavy breathing coming from the quilt-covered bed. “Such a nice home,” he said, seeing the pink wallpaper that covered the wooden walls. There was a wooden dresser nearby, and in front of the bed was an open box full of… small humanlike models? Dolls? Daphne Hastings stirred at the sound of his breezy voice. The sleeper bolted upright, tired eyes opening wider than a door. She was a little red-headed girl — she couldn’t be more than four years old. She scrunched her blanket up close to her with a fearful squeak. “I’m… assuming your name is not Daphne,” he said with a nervous chuckle. Past’s head flickered as he considered how to respond. “I suppose I am,” he said at last. “A ghost cannot be bought, child,” Past said, taking offense to such an idea. Past thought about explaining himself — his purpose. It would be too much for a four year-old to understand. He began to swirl again, sending dancing shadows around the pink room. Daphne’s eyes widened momentarily as she watched Past’s mesmerizing spinning, then lay gently in her bed and fell back to sleep. Past’s light escaped the room, and he reappeared within the abandoned cabin in the woods, next to the Ghosts of Christmas Present and Future. His abrupt appearance caused Present to shout with alarm. The three ghosts of Christmas communed with each other, two of them speaking words while the third nodded, right up until the clock approached one o’clock. As an artist, I'm lucky enough to work on projects like the video above! I didn't do the animations, but I wrote and recorded the music that is in it. What a blast! Happy Halloween, everybody! Halloween also marks NaNoWriMo Eve. Writers all over the world participate in the 50,000 word goal of National Novel Writing Month. Over the years, I have heard writers discuss how difficult this task can be, particularly because of the Thanskgiving holiday. But 50,000 words in a month is a very realistic goal. In the month of October, I wrote just over 31,000 words. During the month, I missed writing on 9 days. From my average word count, that's about 9,000 words I could have added. So, had I written on those days, I would be sitting at 40,000 words for the month of October. And that is without really pushing myself. If I remember correctly, I only actually wrote during one or two nights the entire month. The bulk of my evening time was spent rewatching Stranger Things, as well as keeping up with Star Trek: Discovery and the new X-Men series, The Gifted. There may have also been a few nights with some video games. I bring this up because I want to illustrate how 50,000 words is a reachable goal for others who might be a bit like me. I have a full-time job, as well as a couple of contracts that keep me busy. I am also in an LDS Bishopric, which also takes some time. I have a family I love spending time with. Trust me, if I can find time to write, so can just about anybody! I am currently sitting at about 80% done with the first draft of Book 4 in the Shadow Wielder series. It is coming along, and I have been pleasantly surprised with where the book has gone. Surprised, in that my initial plan for the book got tossed out the window. After writing the 1st and 2nd chapters, I discovered I needed to tie the two chapters together better, so I wrote another chapter between them. Well, I discovered I needed A LOT more between those two chapters... the original Chapter 2 is now Chapter 13. It's funny how stories evolve while I write. I love how it all comes together. Over the next week, I will complete this story. Which means I'll be working on two stories for NaNoWriMo. Part of me wants to jump straight into the 5th and final book, but I'm hesitant to begin the undertaking. I don't feel like it is all that well-outlined. A few months ago, I wrote the first chapter to a new book that takes place during the eclipse from August, so I might jump back and work on that. We'll see how I feel after I wrap up Book 4. The blades cut deeply through my body and I groan at their biting teeth. My branches sway, causing leaves to fall – a shadow of what is to come for me. You helped me grow with your own hands, taking a branch from another tree in an orchard down the street and planting me in your backyard. You watered and fertilized me with such care and precision. As I grew into a sapling, that precision helped me form the foundation for strong roots. Day after day, I dug deeper and deeper into the luscious soil. The rains fell upon me and I drank. Sunrays cascaded down on me and I absorbed them. My trunk thickened, and branches sprouted higher and farther. A few years later, I scattered blossoms which were pollinated by buzzing bees, and I produced the first bits of fruit you so desperately wanted. Year after year, I produced more and more for you. My bark stretched and began to crack and split. I was stronger than ever. Many branches shot out, but you must have felt they were too much. You cut them from me, which caused me so much pain. I still have the scars from their removal. You did bring me relief, though. You protected me from vicious pests who would eat away at me. You planted other trees by me, and our roots interlaced majestically. There is no other feeling that compares to the gentle touch of another living thing. Harvest season would come, and I’d feel you holding onto my firm branches for stability as you picked the cherries that I so delicately grew. Each one of them contained a part of me – a seed that, had you decided to, could have been planted and grown into a tree just like me. I realize that was not your purpose or intent for harvesting my fruit. Still, I like to think that there could be another tree out there that came from me. The cool temperatures would soon follow the harvest, and every year I shed my leaves, preparing for dormancy during the bitter cold winters. Many times I would wake up when the temperature would get warmer, only to be tricked. After sprouting hopeful blossoms, the temperature would drop again – typically after sundown. My blossoms would freeze, and I’d have to start over. Some years my crop of cherries would be smaller than others. For thirty years you tended to me. You helped me stay alive. More than that, you made me thrive. But I can no longer produce fruit. And although I provide shade from the cruel sun, that is not what you need me to do. And now, you have nearly cut clean through my thick trunk. I can feel myself angling to the side, my life fluid flowing down to where you have cut away at me. And then I fall with a booming crash, branches snapping with the collision with the ground. The pain I feel is beyond comprehension. I’d take your pruning over this. I can guess how the rest of this plays out. You’ll chop me up into chunks, let me dry out, then haul me away for use in the winter time to keep yourself warm. At least I’ll be able to provide you some comfort before the rest of me disappears forever. And my stump will remain a monument for what you have done this day until you find the means to pull it out and replace it with a young new tree. My purpose has been served. The last thing I feel is your hand on my fallen trunk. It’s gentle and loving. How could these same hands have cut me down? My sweet sapling, my holder of blossoms, my strong cherry tree – you have not fulfilled your purpose yet. You were my first tree that began this surrounding orchard. Felling you was the hardest thing I have ever had to do. You were my angel tree. I would sit under you after working in the orchard and read books. You provided a sanctuary and peace that not even my home can bring. I cried under your bows when times were tough. I shouted for joy, touching you like this, during the good times. I may not have roots, but I do have a soul. So do you. And our souls are more intertwined than any roots could possibly be. Through the years, I pruned your branches, and though it pained me to hurt you, I knew how much it would help you. Removing the weaker, unnecessary branches allowed for you to focus on making your strong ones even stronger. The scars you bare are trophies – proof that you have lived a good, long life. No being lives their life without picking up their own set of scars. You are the mightiest tree in this orchard, and with my help, the surrounding trees have done their best to be like you. However, few trees rival your perfection. You were shaped by my hands to be something grand. And my hands are not done shaping you. My beloved cherry tree, though I weep seeing you dying, lying horizontally rather than standing vertically, I now carve you with precision. With loving care, I peel back your bark, exposing your green-brown flesh. Do not worry, my old friend: I have planned for this moment. The skinniest parts of you I will sand down and form into wooden legs. They are among the strong branches you were able to focus on, and now will be tough enough to carry much more than just fruit. With your long trunk, I am able to carve several long slabs which I will bond together to make one large slab. The strong wooden legs will support it, and with two other branches, I will create a stretcher to better support the legs. Around the large slab I will use skinnier lengths of your wood to build a frame. All of these pieces combined will form you into my dining room table. And now that all of your pieces have been formed, I will polish you and cover you with a sealant. Such actions will preserve your live beauty forever. And so you see, my cherry tree, your wood is too fine for my fireplace. If you were the last bit of wood in all the world, and I had to endure the winter, I still would keep you here, in my dining room. You are all assembled, and for the rest of my life, I get to have every meal with you. No harsh weather will tear at your limbs and rip up your leaves. No insects will threaten you with their pincers and mouths. No birds will chip away at you with their beaks. You are now a part of my living space, and although you no longer have physical roots, you will always remain planted here in my home. Do not fear of what becomes of your prior living space, for next to your perfect stump I have planted a seed from your last harvest. I will see to its nurture and care. In time, its roots will intertwine with yours, and they will feel familiar, for you will always be a part of it, and it will always be a part of you. You are precious, my cherry tree. You will forever be my sapling. My comedy piece, Off the Hook, is featured in an anthology released by Centum Press this past weekend! It is a tale from the perspective of a fish who is getting his revenge on a group of fishermen. There is a fish pun about every other sentence, so prep yourself. If you click the above image, it will take you to the product page for the anthology. If you feel so inclined to buy, please use my discount code to save 10%! Also, a couple of my writing friends have stories featured in the book. 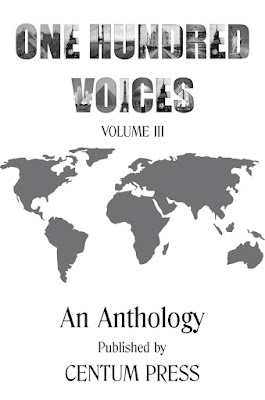 It is great to be a part of an anthology with other writers I know! A quick update on other writing news for me... I have submitted another story to Centum Press for One Hundred Voices Vo. IV, and am still awaiting a response back on whether or not they have accepted it. I'm keeping my fingers crossed. The short story is called The Sapling. I received excellent praise from my writing group on it. A few of them said it was the best writing they've seen come from my mind and hand. Some of you may be wondering where I'm at with the Shadow Wielder series, and my wordcount bar in the top right of this page depicts precisely that information. I'm sitting at the 20% mark on Book 2.5 right now. I haven't actually written much over the past few weeks because I picked up Stephen King's Dark Tower series and it has consumed my writing time. I'm in Book V right now, so I'm approaching the end of the series. Suffice it to say, the series has been very good. That's about it for now. Hopefully I'll soon be able to get back to the land of Ilu and continue on with the stories there that captivate my mind. To go along with this news, I'm excited to announce that Centum Press has accepted another short story of mine for their animal themed anthology entitled One Hundred Tails. It is set to come out in the spring/summer. My story is called Off The Hook. It is about a fish who rallies the other fish in the lake to fight back against a group of ice fishermen. It's a comedic piece, something I have never tried my hand at, but have received positive feedback on from family and my writing groups. Stay tuned. There are fish puns galore in it. Okay. Writing update. 2 years ago I set out on a journey to write my first fantasy novel, entitled The Shadow Wielder. If you've been following me, the book has evolved into a series. In 2015, I wrote the first draft of Book 1. In 2016, I spent a lot of time editing and revising it, then jumped into my "in betweequel" called Orbs of Memory. I completed the first draft of it, and I haven't touched it since. It's about half as long as Book 1, but gives crucial information about my world. So in two years, Books 1 and 1.5 have been written. Starting in November of last year, I started into Book 2, but I didn't care much for where the story was going. In January, I decided to slam the axe down, and picked up at the end of chapter 1 to take the story in a different direction. It's been a crazy ride. In January alone, I wrote just over 50,000 words, which is about as long as Orbs of Memory is in total. As planned, Book 2 is looking to be about as long as Book 1 (110,000 words). I am not planning on writing another 50,000 words in February, so I will not be finishing the first draft of Book 2 this month. I had to sacrifice my reading time to hit my 50k word goal last month, and I really need to read. My writing takes a hit if I don't. So I have a 30,000 word goal this month. This means that sometime in March, the first draft of Book 2 will be completed. What can you expect after the completion of Book 2? Well, in my last blog post, I indicated that I had changed my mind about the series, and that I was making it a duology. Now that I am about 60% done with Book 2, I can safely say that there will be a Book 2.5 and a Book 3! I am already outlining Book 2.5, and it's going to be a fun one to write. Book 3 is still in preliminary stages, but the setup in Book 2 has been a lot of fun. Valodin has become my favorite character in the series, and the Nomahni people are just epic. My plan is to finish writing the entire series this year. I am a bit terrified at the prospect of revising and editing 400,000 words. It's going to be a long process. But I think it will really tighten up my story. 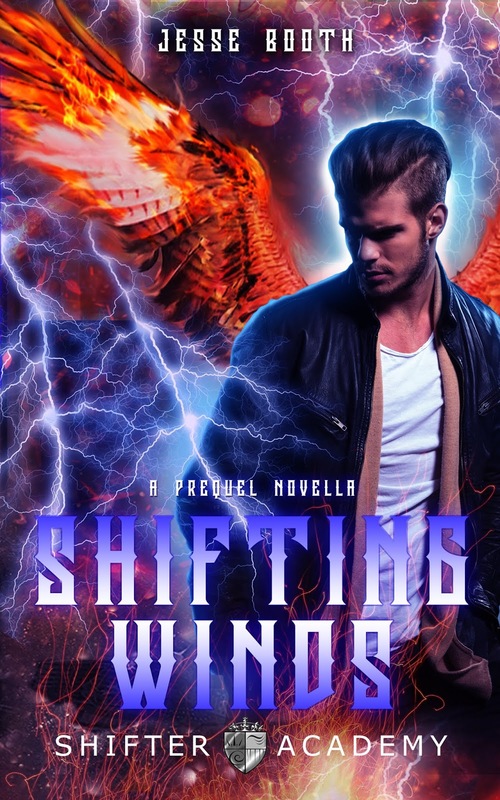 I might take a break from The Shadow Wielder series from time to time to write a short story here and there, because I'd like to get into the habit of releasing them more frequently. As always, if any of you would like to read my stuff, I'm happy to distribute it for free! Just let me know! Just thought I'd drop a quick note and update everybody on a few things. First of all, I am releasing a short story I wrote back in September based on a writing prompt from Brandon Sanderson. The goal was to write a Bible story with a sci-fi spin. After narrowing down a few options, I decided to go with The Good Samaritan. The handful of Bible verses don't provide much detail, so it was fun to make the parable mine. 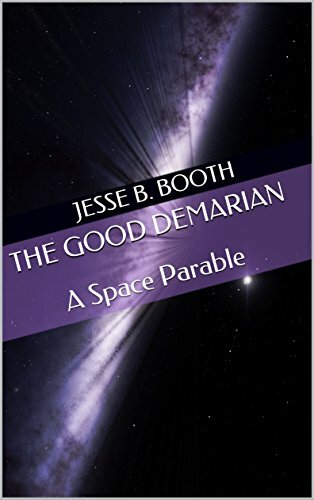 The story is called The Good Demarian and tt releases on December 1st both in Kindle and audiobook formats. Here's a link to the Kindle page. The audiobook is in the process of being recorded and refined by the talented narrator B.L. De Vito. It should be available on Audible around the same time. Also, the first draft of Book 1.5 of The Shadow Wielder is complete. I'm having to step away from it for a bit while I write the beginning of Book 2 for NaNoWriMo. I'm not taking NaNoWriMo too seriously this year. I'm just writing a bit here and there, and updating my word counts. It's the 10th of November, so to be on track to finish the month with 50k words, I should be at about 17k or 18k words. I'm sitting at 3k. And you know what? That's okay. I could be making the time, but I've learned a few things about quality vs. quantity. I've participated in NaNoWriMo 8 times. I appreciate what it does for writers, but I'm at a point now where I don't feel like I need that extra help grinding for a word count. Last bit of news... I've changed things once again with The Shadow Wielder series. My initial outlines allowed for a trilogy. After rehashing the outline, I've determined that this should be a duology. Why? you may ask. Really, I don't want Book 2 to be suffer from the "Book 2 Sloggy Syndrome" that so many do. I don't want it to be a slow book that preps for an epic Book 3. This will help the pacing of Book 2, and make it an overall better book. The series will feel tighter and more complete. Now, technically, there will still be 3 books to the series. But it won't be a true trilogy. Book 1.5 has a completely different feel, and is not required to understand what is happening in Book 2.